If you’re looking for helpful information on small business resources, such as accounting, consulting, recruiting, legal or others, there are a lot of great business resources available. The list of small business advice resources could go on forever, but we’ve picked a few in each category we think are worth mentioning. As small businesses grow and evolve, they are going to need new resources and partners to rely on and work with in order to continue business growth. 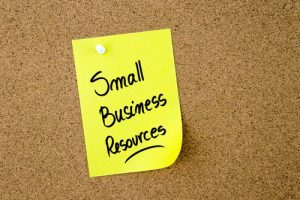 Here are some resources for small business advice and help. Every successful small business needs to have a good accounting, bookkeeping or tax partner in order to follow state and federal regulations and ensure positive cash flow. Here are a few resources you could use. Business consulting services can help you with business process, start up help or general business best practices. Here are a few resources you may want to use. Most small businesses will need legal advice at one point or another. Here are a few online legal services. As businesses grow it can be hard to find the right people to join your team. Here are some staffing and recruiting resources. In today’s world, it’s important to have a quality website and digital marketing help in order to continue business growth and generate new business. Here are some businesses that specialize in website design and marketing. For most business owners, finding quality partners may be a hard task. It’s not always easy to know what services you need and who to work with. Riviera Finance has partnered with small business for more than 40 years to help them manage cash flow with invoice factoring services. See how easy it is to sign up as a Riviera client and get paid in 24 hours!